1. To spread the seed of kindness and compassion to all living creatures, to make this world a beautiful place to stay. Self Benefit and benefits other! Self awake and awaken others! Start from yourself now, you’ll see a difference. 2. To spread positive energy with the hope to light up & cheer up people’s life. 3. Live at present. Be mindfulness & consciousness. Thanks, sister for your encouragement! Cheers! Thanks for visiting my site. Your blog is very meaningful. I’m not vegetarian but I cook and enjoy vegetarian dishes. All the best. Thanks for visiting my blog too… Take more vegetables… Take care! Cheers! So nice too read another vegetarian blog!!! Your light and passion just shine through your writing. Good luck and I look forward to all of your amazing recipes. If you ever want to share a story, recipe or some advice with the readers of my blog shoot me an email and let me know. Hi! Thanks for your encouragement. Your blog is very good. Let’s share this healthy living to more people. Cheers! Have a beautiful day! Beautiful blog, beautiful heart shining through from you! Thanks for your good comment! u too.. Cheers! hi, i m Rela Ah Wah ,events blessings from sri sri on 30 march 2012, do u have any Rela photos taken that night, can u pls email to me ,,,TQ. Just a quick note to thank you for the like on my blog! Thanks for stopping too… Cheers! Yup! Let’s do it together! Cheers! Hi! Thank you! Keep up your good work too! Cheers! Thank you, sis. May your goal & dream to come true too… I love your post in bilingual! Very good! Keep it up! Amitabha! Yup.. Me too. Thanks! Have a great day! Cheers! Thanks for visiting! I enjoyed reading through your posts, too. Look forward to sharing the journey with you. Thank you! BIG SMILE! Cheers! Hi! Thanks for your comment! Positive people see everything is positive!Keep Smiling! Cheers! Beautiful and interesting site. I think you are accomplishing your purpose.Thanks you for liking my site, so that I could discover yours. Hi! Sis, Thank you for your encouragement! Cheers! Thanks for following! I hope you’ll visit often, and I hope you’ll find it helpful and interesting! Have a great day. I tagged your blog in the article I just wrote. Hi! Thanks for your encouragement! Lovely people sees lovely in others. May you be HAPPY & WELL! Thanks, bro. You have a lovely blog too. Cheers! Your blog is very positive. I like it. I am working on the same thing. So nice to meet a fellow traveler on the road to peace and serenity! Hi! It’s my great pleasure to know you! Let’s travel the same path same vow! Thanks for liking my blog. I love the theme of yours! Hi! Sis, you too. You have a great blog! Let’s continue to share kindness to people, be the flower! Cheers! Hi!Thanks for drop by too. Have a great day! Cheers! I agree that it is essential that we (suppossedly) intelligent creatures should take care of the world for future generations. Hi! Great thought! Let’s share our beautiful ideas! cheers! Thanks for your encouragement, sis! U have a lovely blog too.Have a beautiful day! Cheers! I stumbled upon your blog today and I’m inspired by your good deeds. Glad to see you spreading the seeds of love and compassion. I, too have become a vegetarian for almost three years, both because of Buddhism and for the environmental protection. Keep up the good work, I’ll come visit your site often. Btw, I hope you don’t mind I “steal” some of your writeups and share them with my circle of friends. Hi! “A beautiful heart will see the beauty in others” Jing Si Aphorium, by Master Cheng Yen. You are the beautiful people. I am so glad that you find this blog is benefited. No need to steal, Please take whatever article you want. My gratitude to you for sharing and spreading the good deeds. Our whole life purpose is to benefit to others. May you be Happy and Well. With metta & gratitude. Hi my friend, I nominated you for the Very Inspirational Blogger Award today, details on my page. Thanks, bro. Appreciated!Have a beautiful day! I think we share the same thoughts and philosophy. Have a great weekend ! Hi! Sis, Same Vow Same path! Happy day!Cheers! am honoured to have found your blog, keep up the good work! Hi! Thanks for your encouragement! You’ve a great blog too. May you be Happy and Well! Cheers! Just a quick note to thank you for stopping by my blog. Enjoyed reading yours. Thanks! You’ve a great blog too. I love your photos. Nice! Cheers! You are most welcome! Thanks for sharing such a beautiful photo. Cheers! Hi! Kind people will see kindness in others. Cheers! Thank you! You’ve a lovely blog too. Have a great day! Cheers! Thank you! Really appreciated! Have a great day! Cheers! Hi! Great you like the article! May you be always happy and well! Cheers! Thanks! You’ve a great blog too. Smile always! Cheers! You’ve a great blog too. Cheers! Thank you for visiting my blog. I’m happy to find yours as well. Keep smiling! Hi! Thanks! Keep smiling… Cheers! Hi! Thanks for visiting my blog and for the “like” on my post, “Droplets”. I’m happy that you enjoyed it. You are most welcome!You’ve a great blog too. Cheers! Please accept if you would like to. And thank you for your inspiring blog. Hi! Thank you for your nomination. Appreciated! Great that you find this blog is benefit. Cheers! You are welcome! May you be Well and Happy! Cheers! Thank you for stopping by too…. Have a beautiful day! Cheers! 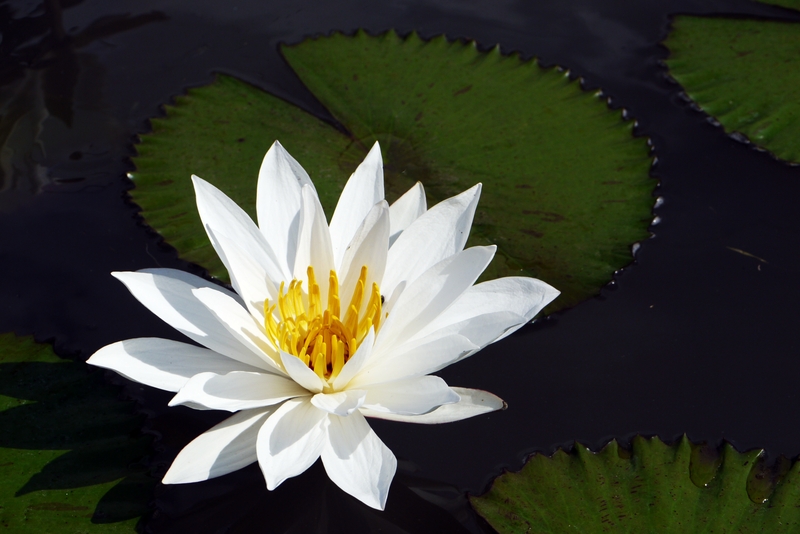 Thanks for coming by my blog and liking a post: https://paulajophotodesigns.com I love your water lily. You can find some of mine here: http://paulajophotodesigns.smugmug.com/Photography/Floral-Photography-1/24346860_WnDRKr#!i=1983677383&k=dmVSbjk and here: http://paulajophotodesigns.smugmug.com/PhotoArt/Home-Decor/25971395_jsQ64k#!i=2232510420&k=2vDjc9w Thanks for looking! Yup, beautiful! Thanks for sharing your link. Cheers! Thank you for stopping by my blog and liking my post on Mrs. City Boy! You have such a nice blog with lots of insight, and I look forward to seeing more of it! Thank you. You’ve a great blog too. Cheers! I love what you’re about 🙂 Now following you. Thanks for visiting The Mindful Mum! Smile always and often! I love your blog! You’ve a great blog too… Cheers! Hi! Thank you! You’ve a great blog too. Cheers! U too. May you be Happy and Well! Cheers! Thanks for the like.. I really liked your post on mindfullness..
Hi! Bro, Thanks! You’ve a great blog too. Cheers! Sorry, sister… hehe! Have a great day! Wow! You’ve a great blog, beautiful photos. Amazing! Cheers! I’m so greateful for your like on one of my posts. Without it I wouldn’t have found your blog. It’s such a kind, peaceful and compassionate place. With my palms together I bow to you. Thank you. May you always be well and happy. Hi! Thank you for your encouragement! Cheers! Hello, friend! I think that you are pretty amazing at blogging…and positivity…and being inspirational. So I did something a little wacky and nominated you for the Very Inspirational Blogger Award. No worries if you’ve been given this honor before…but if not, visit my blog and you’ll get the whole scoop! Thanks sis. Really appreciated! Have a beautiful day! Smile always! Cheers! Hi!Thanks for dropping by too… cheers! While it looks like you have plenty of award nominations under your belt, I wanted to let you know I’ve nominated you for the Sisterhood of the World Bloggers Award. Your blog is an inspiration to me – a moment of peace in my busy, busy day. Thank you, sis… Much appreciated! You’ve a great blog!Cheers! Hi, noticed that you’d dropped by and viewed some of my captures http://allanrichardsonphoto.wordpress.com/ and wanted to say thanks. I love the objectives for doing your posts and that had me reading what you’d written on compassion – which is something we could all be more mindfull of. Hi! Thank you for drop by my blog too. so true! cheers! You have a very nice and inspirational blog. Thank you, u too. Have a great day! Smile always! Thank you very much for visiting my blog and liked my posts. Thanks for visiting my blog too… Cheers! Thank you so much for checking out my blog. Alesia. PS : YOU have beautiful photos. I love your objectives! “spreading the seeds of kindness!” Fantastic. Thanks for stopping by my blog as well. Thanks! Great!Let’s do it together! Cheers! Hello! Thinking of spreading love & happiness through blogging?!! That is really really amazing (and bit crazy too!). Just felt like dropping by to say that you really have a beautiful heart! Just LOVE your initiative! Thank you! You’ve a great blog too. There is a will, there is a path. A kind virtues, can be contagious. Everyone of us appreciated love and compassion, let’s start from us. Have a colorful and beautiful life! May you be well and happy!Cheers! thank-you for visiting my blog. Your pictures and words are great. Thank you! you too! Cheers! Thank you for visiting my blog. I am new to blogging and this is new journey for me. I’m a firm believer that people come into our lives for a reason. Discovering your blog has happened for a reason. I have enjoyed reading the first couple of blogs. I can not wait to delve into more. Thank you! Hi! Yup, everything happen for a reason, definitely this is for good… Keep it up! Have a great day! Stay tuned, there’s a lot more cool stuff coming! Nice blog. Thank you for visiting mine. I will be visiting yours also and keep up the good work! Thanks! u’ve a nice blog too. cheers! Thanks for sharing all these lessons! They are so inspiring! Congratulations for your great blog! Thanks! you’ve a nice blog too. Have a beautiful day! Cheers! Hi! Nice to meet you. For sure, you are the nice people who can see beauty in others. Happy blogging! Bring more smiles, good words and positive energy to the world. May you be Happy and Well! Cheers! u r most welcome! Cheers! You have a wonderful blog here. keep it up! Thank you for liking one of my pictures! Your photography is stunning! Thank you! Your photo also very nice! Cheers! You’ve a nice blog! Let’s share the beauty of nature to awake other’s heart to preserve it. Cheers! Thank you! You’ve a beautiful blog too! Cheers! Lijiun, thank you for the follow and the likes. I am so glad to have discovered your blog. As a Buddhist myself, it is very refreshing to read about concepts of compassion, kindness, and the teachings of Buddha. The photos accompanying each post are breathtakingly beautiful. Hi! Thanks for your words of encouraging! I love your bento, so beautiful and like a piece of act. It’s a great way to introduce vegetarian diet. keep it up! May you be well and happy! Cheers! Thank you for your compliment! You took great photos too. Cheers! thank you Lijun for an uplifting and spiritual blog. I am eagerly anticipating your next post. Hi! Thanks for your encouragement! Have a great day! Beautiful blog. We need a lot more people like you in the world to spread kindness and compassion. Love your blog. Take care and have a wonderful day! Thank you! I am sure you are one of the good person who are spreading kindness and compassion. Let’s do it together and make this world a beautiful place to stay. May you be happy and well! Cheers! Thanks for coming by my blog today. I’m going to take a look around here. Cheers! Thank you for drop by! Have a nice day! Cheers! Really lovely blog. (Thanks for visiting mine.) “Smile Always” is a such a simple and wonderful notion. I will work on making it the background to all of my thoughts. It just feels good. Hi! Thanks for visiting my blog too. Smile always! Cheers! Thanks for your stopping by too… Have a great day! Cheers! Thanks for coming by. What a beautiful site you have here. Thank you! Great you love it! Cheers! om mani padme hum! i enjoy reading your posts as opportunity arises! thank you for sharing. Great! Let’s do it together. We can make a different! Start from ourselves! Cheers! Hi it feels good coming back here! Cheers and best wishes always. u too.. May you be well and happy! Cheers! thanks for the recent like on my post. Keep up the good work. You’ve a nice blog too..Thanks! Cheers! Thanks! Much appreciated!You’ve a nice blog! Have a great day! Cheers! Thanks for visiting my blog. Your own site looks really beautiful! Lijiun thanks again for this wonderful blog 🙂 question, do you have an e-mail I can use to contact you? Thanks! You are most welcome! My email: hlijiun@gmail.com Cheers! Hi! Thanks for dropby… Smile always! Cheers! Sis, Continue your good writing….May you be Well and Happy! Namaste. thanks for visiting my blog. You have a very nice blog. Thank you for the like on one of my posts. It’s my very first interaction with the rest of the blogging world. You now definitely have a new follower. Never underestimate the click of a mouse of even a smile. Thank you, boy! Nice to meet you! Keep up your blog writing. Cheers! Congratulations! Thanks! much appreciated! Have a great day! Cheers! Thanks for your kind compliment! Cheers! The world needs more people like you 😀 Keep up the good work, Lijiun. Thank you! You are a kind people too. Have a great day! Smile always! Thank you! You’ve a nice blog… Cheers! Thanks for liking my blog … beautiful photos here. Thanks for drop by… Cheers! Thank you! You’ve a nice blog too! Cheers! I know it can be a lengthy process, but I think that you deserve it! Congratulations! Bro, Thanks! Much Appreciated! You’ve a great blog too. Cheers! Thanks for dropby.. Smile always! Cheers! Thank you! Much appreciated!Have a great day! Cheers! Thank you for visiting my site and ‘liking’ my Carolina Chickadee post. Have a great day! Thanks for visiting my blog too. Smile always! Cheers! Hi, thank you for visiting, and the like on my blog. You have a nice site. Have a great day. Thanks for drop by! Have a beautiful weekend! Cheers! You’re welcome. Have a great one too. Thanks for your drop by! Cheers! thanks for liking my recent post which helped introduce me to yours. your blogs content is so true and all the more relevant in this day and age. keep up the good work. Thanks for your kind comment. Much appreciated! Have a great weekend! Smile always! Cheers! same to you… May you be well and happy! Cheers! Hi Lijiun, thanks for liking our blog The Arahant. We live in a Buddhist monastery high in the mountains of Sri Lanka. The water is so pure, you can drink out of the steams. We are surrounded by organic farmers. I’ve been vegetarian since I was 16. Nice to come across your blog, hope you can visit us again soon. There’s lot of cool stuff in the pipe line! Thanks! Great you love it! Cheers! Pleased to make your acquaintance Liljun. thank you I enjoy your encouraging reads. Thank you for visiting my blog! Your blog is indeed peaceful. You have a beautiful, inspirational blog. Thanks for visiting my blog and liking my post. Thanks for your beautiful blog too… Have a great day! Cheers! Thanks for visiting. Love your stuff, will follow. Thanks! You’ve a nice blog too! Cheers! Thank you! Much appreciated! Cheers! Are you aware of PCRM(Physicians for Responsible Medicine http://www.pcrm.org/) and Navs (National Anti- Vivisection Society http://www.navs.org/)? Both great groups! Hi! Excellence, great to live by example. Let’s share with people surrounding, to make a difference in life to relieve suffering from other beings. Thanks for sharing the good site. Great to know you! May you be well and happy! Cheers! I am happy to find you.. I too am a Buddhist and this inspires me to refresh my firm belief in buddhist philosophy..
Hi! Michael, Thanks for drop by… Keep up your good blog… Cheers! Thanks for your encouragement! Merry Christmas! Cheers! Thanks! Keep up your good writing! Cheers! Beautiful ideals. I too am trying to live a more kind life. I find it makes me happier. Thanks for spreading the love. Great! Let’s continue to spread love and kindness. Cheers! Nice to meet you too… Cheers! Thank you for your recent like. Love the “feeling”, the “atmosphere” of your blog. You can be sure I will visit again. Cheers! Thanks for visiting my blog so I could find yours. The purity and serenity of your pages brought peace to my morning. Hi! Great you love it! Appreciated for your kind feedback! Have a beautiful day! Cheers! Thanks for stopping by to read my blog! I appreciate the Like! And I am happy to have discovered your blog. I look forward to reading more of your positive messages. Thanks! Continue your writing too! Let’s share our positive energy! Cheers! Thanks for your visit too… Cheers! Thank you for stopping by and liking my post, Flower’s Heart. Thanks! Let’s share our positive energy with surrounding! Cheers! Thanks! continue your writing! Have a great day! Cheers! Hi, thank you for visiting my blog and I am glad you like one of my post.. I Appreciate it..
Hi! Keep up your good work! Cheers! Thanks for stop by too..Cheers! Thank you for kindly liking my post, “Thanksgiving”. You have such beautiful pictures here! I will come back to see more. Great! You’ve a nice blog too! Cheers! Enjoyed browsing through your posts and have a great time. Great! Continue your good writing too.. Cheers! Thanks for liking my post, much appreciated. Thank you so much for liking my post, and because of that I was able to find your beautiful and very uplifting blog. I’m not a vegetarian, but I do love a lot of vegetarian dishes…! Thank you for what you’re doing..:) I’ll be coming here to get my daily dose of positive energy..
Great! You love vegetarian diet… Let’s share more vegetarian recipe. Cheers! Love to read more from you… great work. Awesome. Sis, thanks for your kind words! Let’s work together to bring happiness to the world! I will surely, whatever I can in my capacity. Happy I came across your blog. Thanks for your positive compliment! Smile always!Cheers! lijiun, thanks for visiting my blog. I really enjoyed having a wander through yours. Lovely sentiments and photos! All the best. Thanks for your kind compliment! Keep up your good writing! Cheers! Congratulations!Thank you very much! Much appreciated! Cheers! You are very welcome. It’s deserved. Thank you for the ‘like’ on my blog atrivialmindatwork.com. Your vision is fresh. Keep it up. Come by again to my blog too. I have more pictures from the nature park over the next few days. It was a great place to visit. Thanks for drop by. Will do! Cheers! Hi Li Jiun, thank you for stopping by and liking my blog. Thank you for stopping by too.. Cheers! You have a beautiful blog! 🙂 Thank you for stopping by my site and liking a post. Blessings and happiness to you! Hi! Thank you for dropby too. May you be well and happy! Cheers! Pleased to have found your intriguing blog. Lots to contemplate. Regards from thom at the immortal jukebox. Hi! Great to meet you too… Cheers! Thanks for stopping by my blog. I’m glad you liked my pictures. You have some really gorgeous ones here too and I love the idea of your blog…” spread the seeds of kindness and compassion”. I think you will help make the world a better place. I am going about it a different way. I am passionate about individual liberty and freedom. I think all people deserve to live their lives in the best way they can. In the end, I think we’re all working towards the same goals. Great you are dropby!Nice to meet you! May you be always well and happy! Cheers! Hi Li Jiun, Thank you for visiting my blog – and liking it too! – and for introducing me to yours. I’m always interested in reading about nature, Buddhism and the ways we treat our fellow human beings; I’m sure I’ll be reading more of your posts. Namaste. Thanks for dropby too… Let’s learn from each others! Namaste! Thanks for liking my photo. You have a very lovely blog. Thanks for your good compliment! Keep up your good writing! Cheers! I have recently rediscovered your blog and it is quickly moving up my list of favourite blogs. Each time I read another of your posts, I feel happier and go out for the day with a more positive mind. Thank you very much, Peter. Happy day, Peter. Excellence! Thanks for your kind compliment! May you be always well and happy! Cheers! Thank you for your visit. You have kind, lovely and simple guidelines of life and will follow your posts. Hi! Joaquim, Thank you for your kind messages. May you be well and happy! Cheers! Great blog. Lovely short stories. Always heartwarming and humbling. And eye-opener too. Kindly consider linking to G+. Thanks for encouragement! Will do! Cheers! Thanks for visiting my blog and liking my post ‘Feathered friends…’. Enjoyed your lovely blog. Keep writing! Thank you! Keep writing too! Cheers! Thanks, Corina. Keep up your great work too. Cheers! Hi! Uldis, Thanks for dropby. Its truly amazing! Keep up your good work! Cheers! Admirable goals for any life! I am happy you introduced yourself at my blog so I can join with you in this journey of light and kindness. Peace and joy to you! Hi! Great to meet you.. Keep up your good work! Peace and joy to you too!!! Cheers! Hi Li Jiun, thank you very much for following my blog and liking the posts 🙂 Wish you a merry Xmas! Merry Christmas! Thanks for dropby too.Cheers! Happy New Year! Thank you very much for following my blog. There’s lots of good stuff coming, so do visit us often. All the best to you! Thanks for visiting my blog and liking the mean kitty video. As a vegan who practises mindfulness, your blog is certainly of interest. Cheers. Great! Thanks for dropby too… Cheers! Thank you, Risty. Much appreciated! Cheers! Thank you for the ‘like’ on In City Dreams…it is very much appreciated! Thanks bro. Much appreciated! Keep up your good writing! Smile always! Cheers! Li Jiun ~ I happened across your blog through beautiful serendipity. You are truly a lovely, special, inspiring person. If one were to look up the word Metta your picture should be beside it. I am so glad that I found you & look forward to reading more. Thank you Li Jiun, for visiting my site and also (to like) my blog post “Paradise of peace”. Your blog is awesome. I am happy that I’ve come across something like this. Thank you for dropby. May you be well and happy! Smile always! Cheers! Thank you for your kind wishes! May you be well and happy! Cheers! Hi! Sure! Thanks for drop by too. Cheers! Thank you for your kind words! Stay well! Cheers!